PAK 11 "Stand Up And Fight!" Abe Belardo 27-30, Mike Bray 30-27, Marcos Rosales 30-27. Abe Belardo 30-27, Mike Bray 30-27, Marcos Rosales 30-27.
defeated Dominik Velez (Modesto, California, USA, 0-1-1, 142, 5'8", 7-25-93, Justin Smitley, (209) 484-9389) by Unanimous Decision. Abe Belardo 29-28, Mike Bray 29-28, Dan Stell 29-28.
defeated Sarah Huerta (Reedley, California, USA, 1-1, 129, 5'4", 2-3-87, Will Cho, (559) 287-8220) by Unanimous Decision. Abe Belardo 30-27, Mike Bray 30-27, Dan Stell 30-27.
defeated Mario Franco ( Richmond, California, USA, 0-2, 133, 5'6", 9-25-92, Master Cheetah, (510) 390-0696) by Unanimous Decision. defeated David Bejarano (Fresno, California, USA, 0-1, 168, NEED HEIGHT, DOB, Sasiprapa USA, (559) 500-8617) by Split Decision. Abe Belardo 30-27, Mike Bray 29-28, Marcos Rosales 28-29.
defeated Victor Solis (Fresno, California, USA, 0-1, 175, 6'1", 5-1-94, Enn Janthakhun, (415) 722-1353) by Split Decision. Abe Belardo 28-29, Mike Bray 29-28, Dan Stell 29-28.
defeated Jimmy Luangraj Sasiprapa (Fresno, California, USA, 0-1, 146, 5'5", 1-2-84, Malaipet Sasiprapa, (559) 916-5625) by Unanimous Decision. defeated Clifford Passmore (Fresno, California, USA, 1-1, 145, 5'8", 11-16-90, Enn Janthakhun, (415) 722-1353) by TKO in 1:25 of round 3. Clifford Passmore has been issued a 180/180 Medical Suspension unless cleared by doctor. defeats Al Cabrera (Sacramento, California, USA, 4-3, 141, 5'8", 8-14-88, Kru Yong, (916) 832-6641) by Unanimous Decision. defeated Kiyoshi Carson (Daily City, California, USA, 5-5, 181, 5'10", 3-16-89, Sarathy Janetvilay, (510) 691-8881) by Split Decision. defeates Ethan Thompson (Fresno, California, USA, 4-2, 152, 6'4", 8-19-91, Sean Moore, (559) 213-7258) by Unanimous Decision. Abe Belardo 50-45, Mike Bray 50-45, Dan Stell 50-45. ***defeated Frank Tapia (Fresno, California, USA, 4-2-1/0, 203, 5'11", 6-19-77, James Contreras, (559) 346-7371) by Unanimous Decision. Abe Belardo 49-44, Mike Bray 49-44, Marcos Rosales 47-46. 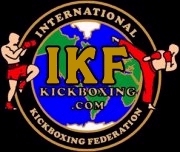 (***) Zambrano Title was stripped by the IKF in the Fall of 2014 and Tapia's loss reversed to a WIN. They discovered he had fought as a Pro MMA Fighter (Under the name Iggy Zambrano) when he lived in the midwest, making him a PRO Fighter. CLICK HERE.